Despite the fact that headaches are extremely common, doctors don't fully understand exactly why or even how they occur. Neither the skull nor the brain is sensitive to pain, but both are surrounded by pain-sensitive membranes. Most headache pain stems from abnormalities in these membranes or nearby muscles, blood vessels, or nerves—either alone or in combination. Women are twice as likely as men to experience moderate and severe headaches and more likely to experience certain types of headaches, such as migraine. A major reason is fluctuating hormone levels that are part of the monthly menstrual cycle. 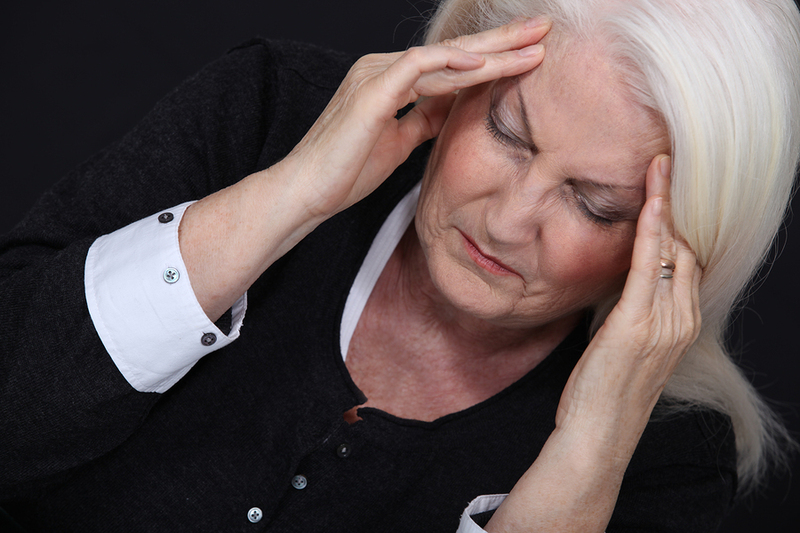 Headaches are rarely caused by an underlying disease or structural abnormality. Instead, they spring from common conditions such as stress, fatigue, lack of sleep, hunger, changes in estrogen level, or caffeine withdrawal. If you have frequent tension headaches (more often than once or twice a week), finding a helpful prevention strategy is vital, so you don't become overly reliant on painkillers or muscle relaxants. Doctors often advise people with tension headaches not to skip meals, to get enough sleep, and to pace themselves to avoid becoming overly tired. Relaxation strategies are another common recommendation; you might also consider acupuncture or rubbing peppermint oil on your temples. Other options include trigger point injections and medications. Various types of physical and relaxation therapies prevent tension headache, although these techniques work only if you practice them on a regular basis, preferably every day. You may need to try different strategies to find the one or two that work best for you. The simplest one is to apply a heating pad to your neck and shoulders to relax the muscles. Getting regular exercise including a mix of aerobics and strength training can be very helpful. Be sure to stretch after each session. Pay special attention to stretching your neck, shoulders and upper chest muscles. Also consider massage and physical therapy. Two other types of relaxation therapies may also be useful. Autogenic training is a technique in which you learn to focus your attention on various parts of your body, in succession, and then imagine them becoming warm and heavy in order to relax them. Another relaxation technique is biofeedback, in which you learn to recognize when your muscles are becoming tense and learn how to relax them, based on signals from your own body. In biofeedback for tension headache, typically a therapist will attach electrodes to your skin to detect electrical signals from your neck and shoulder muscles. When you become tense, the biofeedback machine may beep or flash a light. You learn to recognize when you are becoming tense and then find ways to relax the muscles before they tighten so much you develop a tension headache. Some people with tension headache have very sensitive areas, known as trigger points, at the back of the neck or shoulders. Touching these tender areas sometimes prompts a headache. If your doctor identifies such trigger points during the physical examination and other treatments fail to provide relief, injecting a local anesthetic into these areas may eliminate the pain and prevent the headache from occurring again. This option has limitations, though. First, you must receive the shot at a clinic, hospital, or your doctor's office. Second, many people are uneasy about receiving a shot in the neck or shoulders. For more on preventing and treating headaches, purchase Headaches: Relieving and preventing migraine and other headaches by Harvard Medical School. Ask the doctor: What causes red wine headaches? What’s that constant headache pain in the temples?